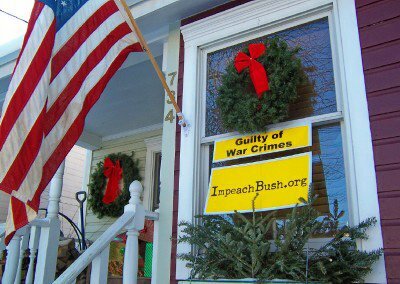 Patriotic People CARE: Should Bush be IMPEACHED? MSNBC is asking US! I'm making MERRY MERRY MERRY!!!! Thanks MSNBC for asking. VERY HAPPY HOPEFUL NEW YEAR to US ALL! NEW- PLEASE TELL them! Take the POLL- might still be running! They need to hear from as many of US as possible ASAP! Thank you! This is BIG! Please tell everyone you can!